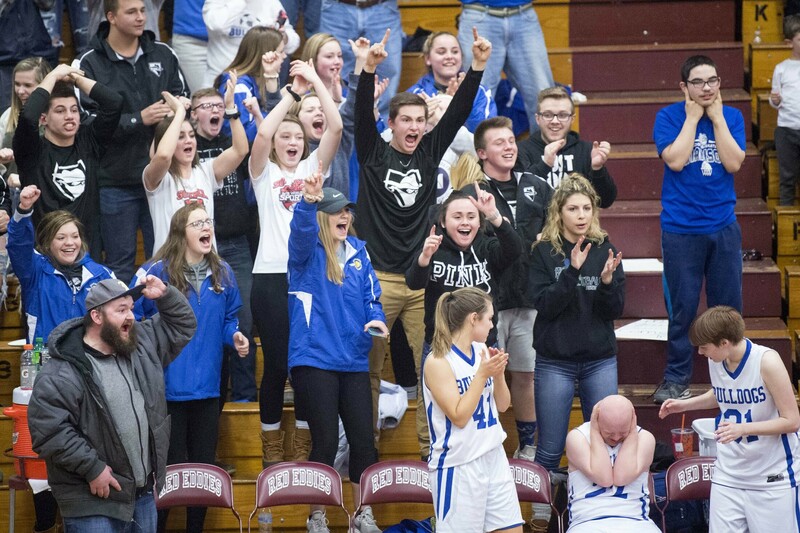 Madison fans cheer after the Madison unified team took a lead over Westbrook in the unified state championship game Tuesday night at Edward Little High School in Auburn. 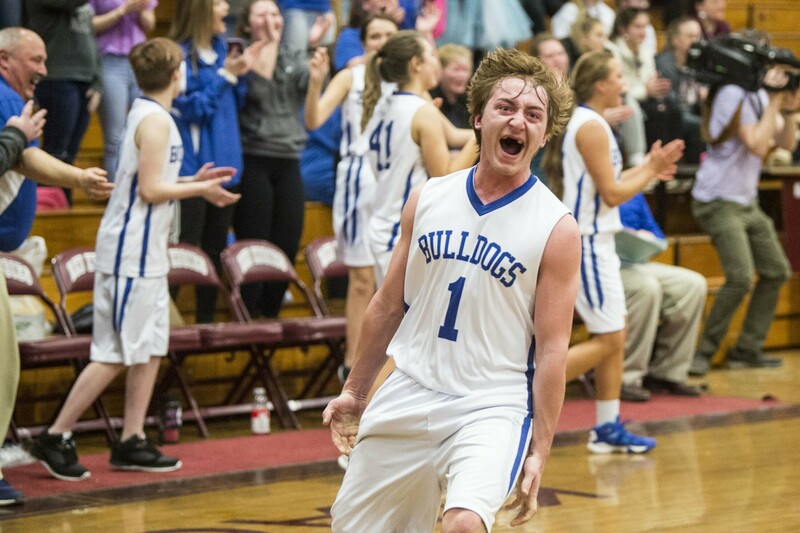 Madison's Scott Sawtelle celebrates after the Bulldogs sank Westbrook in the unified championship game Tuesday night at Edward Little High School in Auburn. 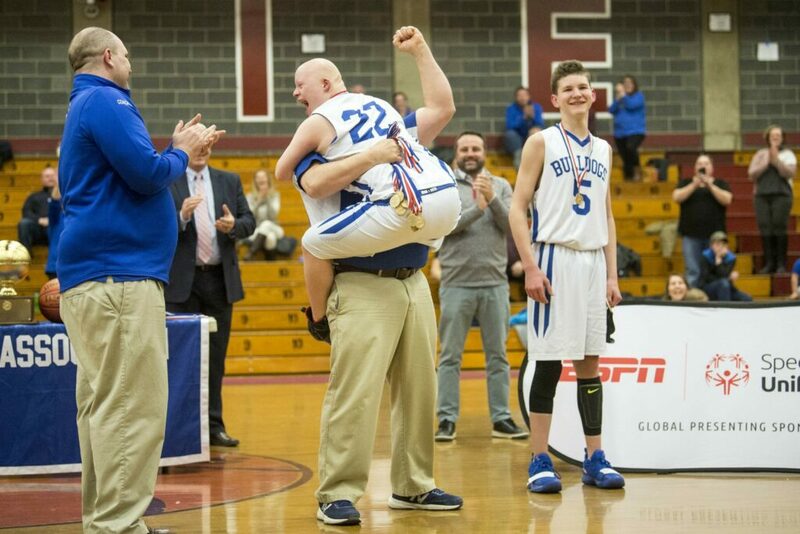 Madison's Austin Mercier (22) jumps into the arms of a coach after defeating Westbrook in the Unified championship game Tuesday at Edward Little High School in Auburn. 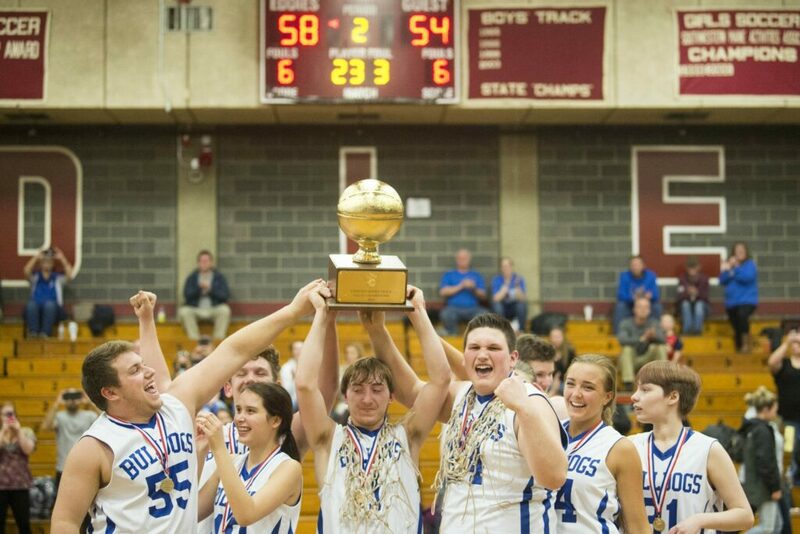 Madison unified basketball player Scott Sawtelle (1) hoists the Gold Ball over his head with his teammates after the Bulldogs sank Westbrook in the Unified championship game Tuesday night at Edward Little High School in Auburn. 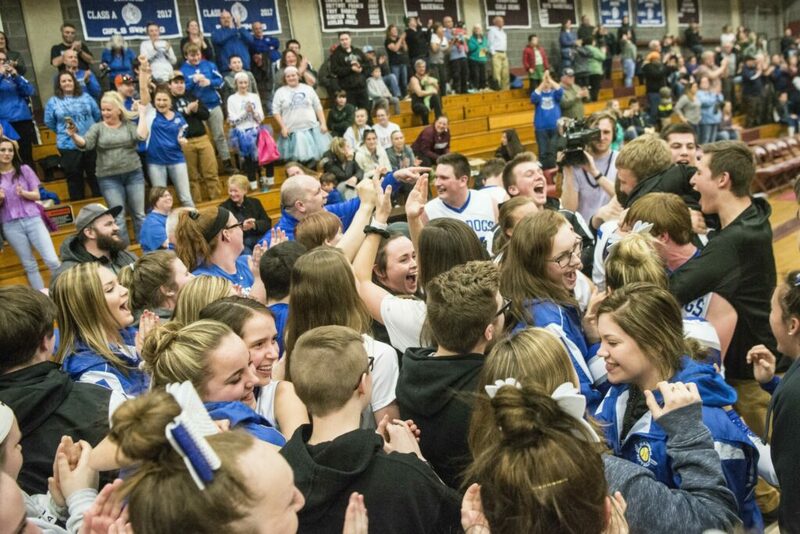 Madison fans storm the court after the Bulldogs defeated Westbrook in the unified state championship game Tuesday night at Edward Little High School in Auburn.